The American Journal of Clinical Nutrition published a study which investigated the nutrient content of organic versus conventional foods. This study showed that there was no evidence to support that nutrient content was higher than conventional. Thus, stirring a debate as to whether or not eating organic food was really worth the extra cost. Many people objected to this and stated there are many things to take into account other than just the nutrition of the food. When you choose to buy an organic food item you are limiting your exposure to toxins. Things like growth factor hormones, pesticides and antibiotics have been linked to various health issues. 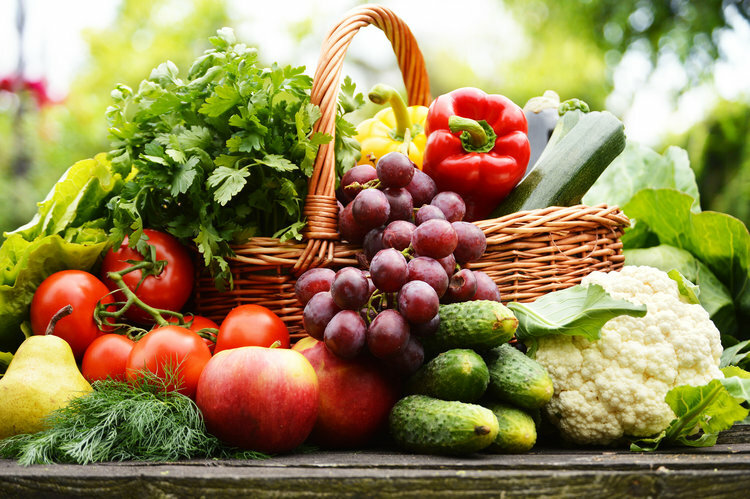 Other studies have concluded that organic foods contain higher levels of antioxidants, such as quercetin and vitamins C and E.
Only you can choose what is right for you and your family. If you want to stick to a budget and can’t afford all organic you should consider buying foods which are known to be the most contaminated to avoid exposure to unnecessary chemicals. For those of you who have been curious about limiting toxins through food you should always check your food labels to see if your food has Genetically Modified ingredients (GMO = Genetically Modified Organism). GMOs are genes which are altered by the use of genetic engineering this allows the organism to either contain an extra gene or have one removed. The most common way genetic engineering has been used is to create crops which are tolerant of exposure to pesticides. The use of genetically modified foods is relatively new. First discoverd in the 1970s, it only has started to be used in our foods since 1994. So the long term effects of this are still up for debate. What is becoming more known, is that by consuming GMOs you are increasing exposure to more pesticides on your food, which could, potentially, lead to other health issues down the road. Some widely known issues are increased allergies and antibiotic resistance. When you buy organic in the United States you are buying foods which are also NON-GMO. The U.S. forbids genetic modifications in organic food. When you are shopping check the food labels. A lot of products now have a NON-GMO label on the front of their packages. It is also easy to look at the back of the ingredients labels and MOST will say if they contain genetically modified ingredients. Usually it is found under the ingredient list. Well you know those little stickers on your food? The numbers actually mean something. And finally, if you see a 5 digit code, starting with the number 8 that means that it is genetically modified. Like most of us with kids, you are probably on a budget! You might want to shop healthier but just don’t have the ability to buy all organic all of the time. So the easiest thing is to be picky about what you get. 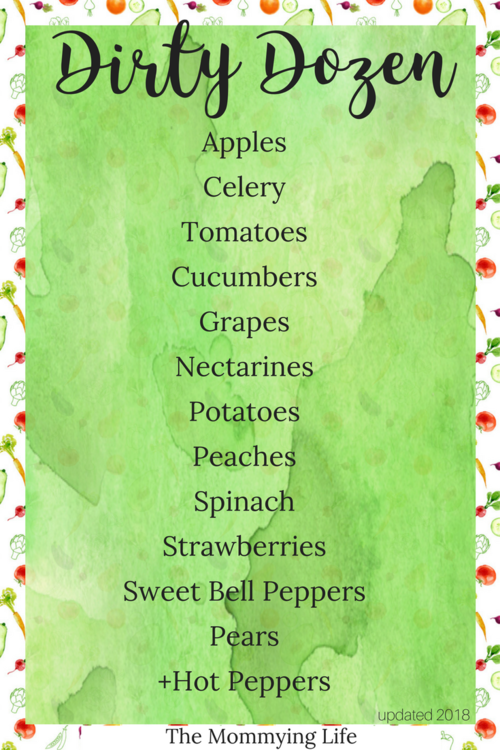 Stick to the clean 15 and dirty dozen lists below to guide you in making better choices for you and your family's health! Be sure to always check your weekly ads to see what is on sale in the produce asile! This will make it easier for you to save money while still getting fresh fruits and veggies. The other option, is to buy frozen, there is NOTHING wrong with buying frozen fruits and vegetables. It is a time saver and it is still allowing you and your family to have healthier options with meals.